Andy Thunell was born and raised in Logan. 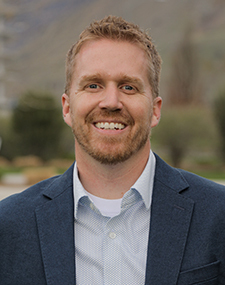 In 2009 he graduated from the Huntsman School of Business and quickly applied what he learned in the classroom and combined that with his passion for whitewater kayaking and entrepreneurship. He founded Rapid Progression Kayak School and has since taught hundreds of people all over Utah how to kayak. Andy has also started several other small businesses including WeaveSleeve, a business working with artisans in Guatemala helping to preserve their culture of weaving. If he isn't busy working on a new business idea, Andy can be found spending time with his wife Monica and playing outside with his son Elijah enjoying nature.